out bookmarks, pencils and coloring pages. Everyone loves those classic Dr. Seuss books. Promise Community Health Center in Sioux Center will put on its second annual Dr. Seuss Celebration this week to celebrate the birthday of the legendary children’s books author. The fun event will be offered during Promise’s open hours Tuesday through Friday, March 1-4, in the waiting room to patients and any other children who would like to stop by. The hours are 8 a.m.-6 p.m. Tuesday and Wednesday, 8 a.m.-7 p.m. Thursday and 8 a.m.-5 p.m. Friday. Staff members will dress up as their favorite Dr. Seuss character on the author’s birthday on Wednesday, but they will read read Dr. Seuss books to children in both in English and Spanish all week. They will hand out Dr. Seuss pencils, bookmarks and coloring sheets. The waiting room will be decorated with a Dr. Seuss theme. Handouts also will be given to parents throughout the week with facts about why it is important for them to read to their children. Theodor Seuss Geisel, best known as Dr. Seuss, was born March 2, 1904, in Springfield, MA. His early work was as a cartoonist, and his cartoons were published in many magazines. He later illustrated a children’s collection that gave him his break into children’s literature. His first book, “And to Think That I Saw it on Mulberry Street,” was published in 1937. During his career, he wrote more than 60 books, including nearly 50 books under the name of Dr. Seuss. He died in 1991 at the age of 87. SIOUX CENTER – Kids collecting books for kids. What could be more cool that that? 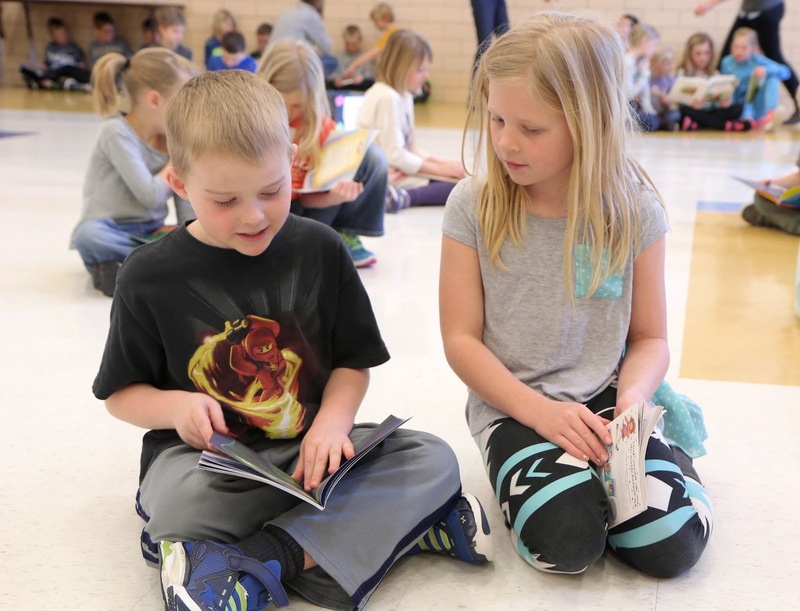 Sioux Center Christian School first- and second-graders collected about 130 books for Promise Community Health Center in Sioux Center. The books will be used for Promise’s Reach Out and Read Program and in its waiting room. First-grader Kianna Kooi was excited to donate “Andrew’s Loose Tooth” by Robert Munsch. Jill Van Soelen, a first-grade teacher at Sioux Center Christian, said the book drive project stems from the Teaching for Transformation pilot program that Sioux Center Christian School is doing through the work of the Center for the Advancement of Christian Education and Dordt College in Sioux Center. A big part of that pilot program is to have students “participate as restorers in the creation, fall, redemption and restoration story,” she said. Therefore, she was looking for a way her students could actively participate in restoration in their own community. Her school also was having a Literacy Week, and she was having her class write book reviews, so the book drive seemed like a wonderful combination project. donated for Promise Community Health Center. The project started with three sections of first-graders – a total of 53 students. The students picked out new or gently used books, wrote reviews about the books that were inserted inside of them and then gave the books Promise. The second-graders thought it was an exciting project, so they got involved in donated books, too. That involved another 64 students. The students donated a large variety of books – board books, picture books and easy readers. Van Soelen said all the books are in great shape, so the students really picked out books that they themselves would like. Van Soelen decided that Promise was the perfect organization to give the books to. In 2015, 50 percent of Promise’s patients fell at or below the poverty line. Another 41 percent were between 101-200 percent of that level. Also, 44 percent of Promise’s patients last year were 19 or younger. Promise serves many Spanish-speaking people. “My deep hope for this project was that students would see that their community extends outside of their classroom and school walls and includes people in Sioux Center – primarily people who are not able to afford extras,” Van Soelen said. 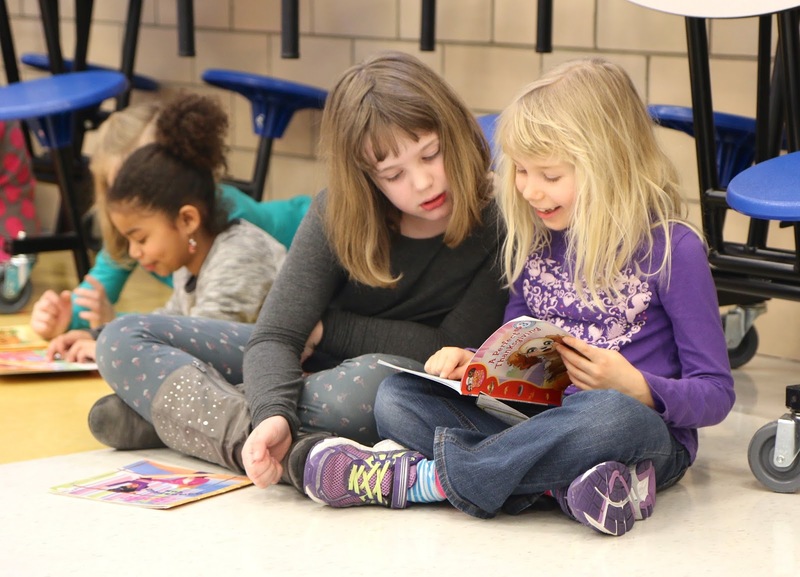 Many of the books donated through Sioux Center Christian School’s book drive will go to Promise Community Health Center’s Reach Out and Read program. 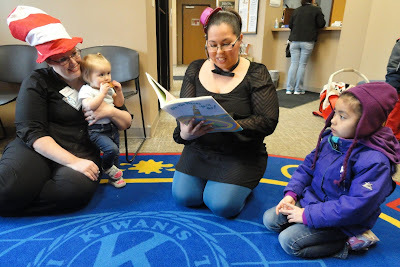 As part of the national effort, Promise’s medical providers talk to parents about the importance of reading aloud to their young children, offer reading tips and give each child who comes in for a well-child visit an age-appropriate book. The goal is to help prepare children for success in school. to Promise Community Health Center in Sioux Center during a book drive project. SIOUX CENTER – In the past, women – or men, for that matter – who lived in the far northwest corner of Iowa had to travel to Sioux City for the closest family planning clinic. Now, they have a local option at Promise Community Health Center in Sioux Center. Promise officially launched its expanded family planning services in February. The health center was awarded a federal grant of $84,721 annually for two years through the Family Planning Council of Iowa to establish the program. the Family Planning Council of Iowa. Promise did already provide these services, but the grant allows the health center to offer much greater discounts than its regular sliding-fee scale. As a result, those who are 100 percent or below the federal poverty level will receive the family planning services for free. Those between 101-150 percent of the FPL will pay 25 percent of the charges, between 151-200 percent will pay 50 percent and between 200-250 percent will pay 75 percent. Dykstra noted that Promise already cares for many low-income patients, including a high percentage who are women. She said the nurse practitioners will be able to better serve that population with the additional resources. For example, she noted a woman might have received prenatal and medical care during a pregnancy, but the prior financial barrier might have caused her not to get the contraceptive care that she desired afterward. Now she can. The family planning funding cannot and will not be used for abortions. “It’s absolutely black and white in our funding and our agreement that it cannot be used for that,” Dykstra emphasized. She also noted the grant program required Promise to put into place strict security standards to ensure complete confidentiality for those who receive family planning services. Promise’s primary service area for the family-planning program will be Sioux, Lyon, O’Brien and Osceola counties, but the grant also includes financial resources for outreach in five additional counties for a nine-county region. The state has more than 50 family planning clinics, but most of them are concentrated in the eastern half of the state. The northwest Iowa region was a wide open territory. The only other Iowa family planning clinics located within 100 miles of Sioux Center are in Sioux City, Onawa, Denison, Logan, Harlan and Humboldt. 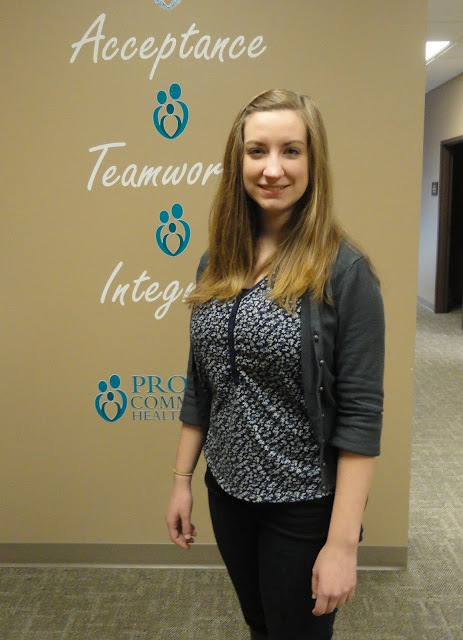 People who would like to receive family planning services from Promise Community Health Center in Sioux Center are encouraged to talk to family planning coordinator Emma Westerholm. She can be reached at 712-722-1700 Ext. 670. She can answer questions and arrange for appointments. All conversations and care will remain strictly confidential. 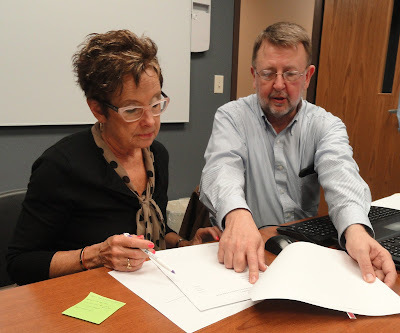 SIOUX CENTER – Promise Community Health Center in Sioux Center welcomed visitors from United Community Health Center of Storm Lake today (Thursday, Feb. 18) for a mutual peer review process. 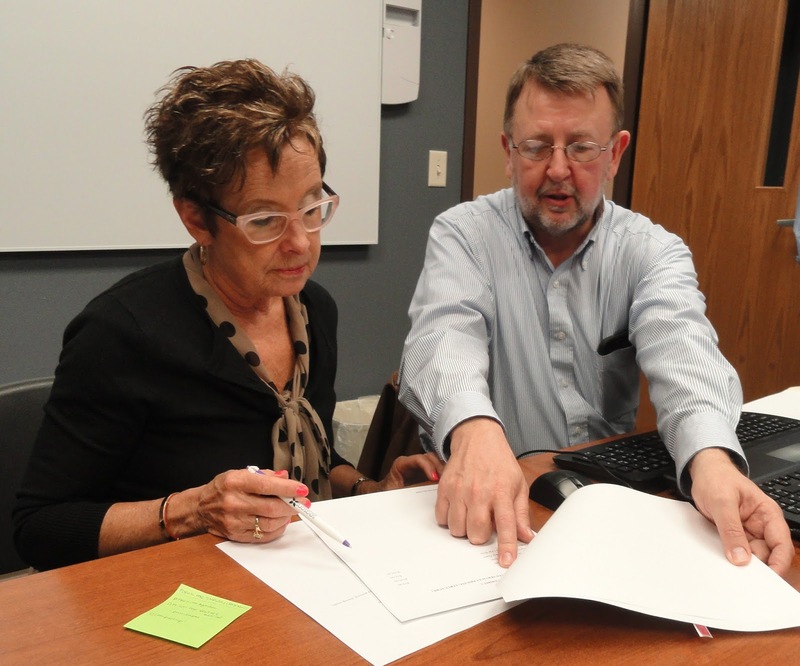 Sioux Center, work through mutual peer review. In the past, the two health centers used other connections and contracts to fulfill the peer review requirement, which is a quality assurance and improvement measure under the Federal Tort Claim Act to maintain malpractice liability insurance coverage. Nancy Dykstra to see if she would be interested in a mutual arrangement. She agreed that it was a good idea to pursue. peer reviews between the agencies going forward. Dr. Natalie Schaller, medical director; Dr. Brian Smith, dentist and dental director; and Tina Rydstrom, clinic manager, joined Gehrig on United’s trip to Promise. Schaller and Smith worked directly with their counterparts at Promise – Dr. Del Lassen, medical director, and Dr. Kenneth Tjeerdsma, dentist and dental director – to review a selection of each other’s charts. Rydstrom visited with Promise clinic manager Vicki Schrock. In the future, the peer reviews will be completed remotely every six months. The privacy of patients is ensured and maintained in compliance with the federal Health Insurance Portability and Accountability Act (HIPAA) throughout the peer review process. Dykstra thinks the peer review collaboration is off to a good start. The process worked smoothly between the medical teams because the organizations already have the same software. They just have to work through a few technical matters on the dental side due to having different software programs. “Everyone agreed that this is an ideal way to work through a peer review – by doing it between community health professionals. It went really well,” Dykstra said, adding that the opportunity for the health professionals to meet each other also might lead to future networking if they have any questions in their own practices. The visitors from United also toured Promise’s recently remodeled and expanded facilities during their visit. 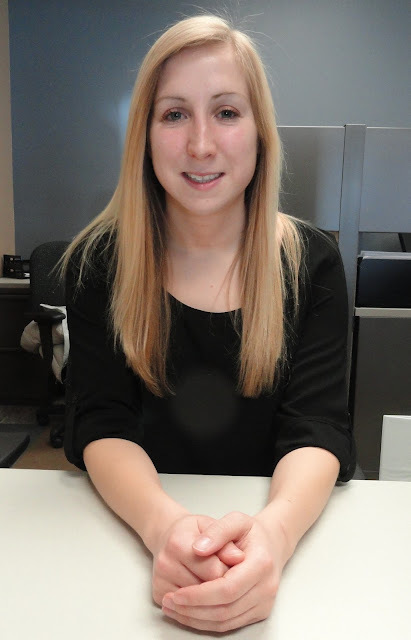 SIOUX CENTER – Kendra Kleinwolterink has had great respect for the important role that Promise Community Health Center plays in the community since she found out about the organization during college. She now is excited to educate the community about the services it has to offer as the new community educator at Promise. the community about the services Promise has to offer. 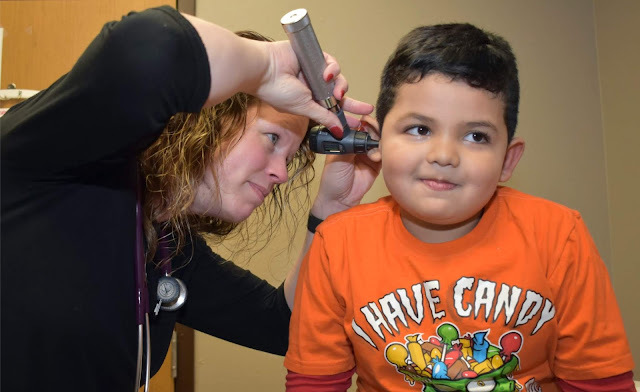 Promise’s community educator position was created to make connections with personnel in area schools, businesses and other organizations to educate them about the wide-ranging services that the health center has to offer. She also will help arrange community health education opportunities, along with various other tasks. Kleinwolterink has discovered that many people still do not realize all that Promise offers, so she is excited to find creative ways to inform the community about Promise. Kleinwolterink grew up in Sibley and graduated from Sibley-Ocheyedan High School in 2010. She then earned an associate’s degree in liberal arts from Minnesota West Community & Technical College in Worthington in 2012 and a bachelor’s degree in sociology from Northwestern College in Orange City in 2014. She interned for The Bridge in Orange City, January-May 2014, and as a domestic violence advocate for YWCA Northeastern New York in Schenectady, June 2014-April 2015. She then served as a community care coordinator for Seasons Center for Behavioral Health in Sioux Center, June 2015-January 2016. “It’s obvious that everyone works as a team within their specific departments and as a whole organization,” she said.